Warner Bros. releases the new trailer for Shaft which stars Samuel L. Jackson. 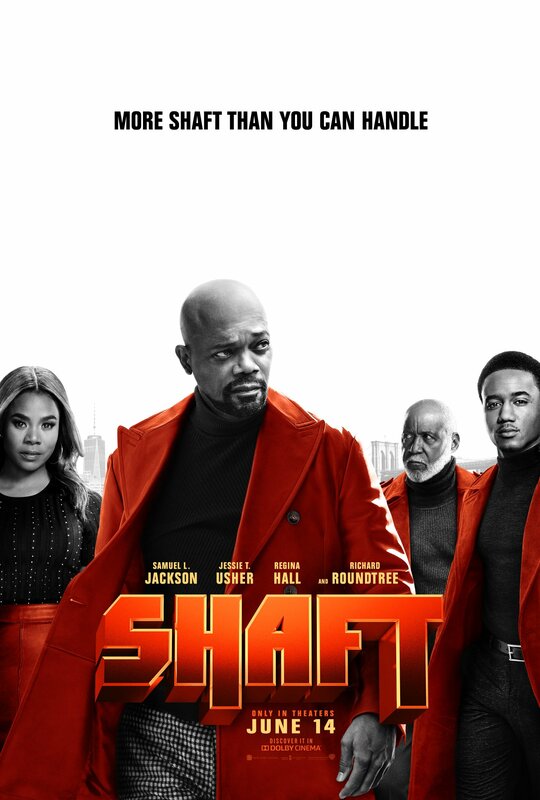 New Line Cinema’s action comedy “Shaft” is the next chapter in the film franchise featuring the coolest private eye on any New York City block. Tim Story (the “Ride Along” and “Think Like a Man” franchises) directs this all-new take on a legend, starring Oscar nominee Samuel L. Jackson (“Glass,” “Kong: Skull Island”), Jessie T. Usher (TV’s “Survivor’s Remorse,” “Almost Christmas”), Regina Hall (“Girls Trip,” “Barbershop: The Next Cut”), Alexandra Shipp (“Straight Outta Compton,” “X-Men: Apocalypse”), Matt Lauria (TV’s “Kingdom,” “Friday Night Lights”), Titus Welliver (“Argo,” TV’s “Bosch”), Cliff “Method Man” Smith (“Keanu,” “Train Wreck”), and Richard Roundtree, the original John Shaft. NEXT ARTICLE →Pet Sematary Trailer 2 Is Here!